1. 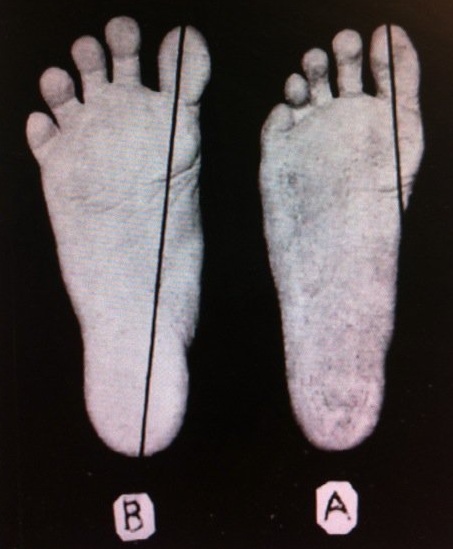 The natural position of the toes if shoes were never worn is sprayed and this puts the centre of the weight of each feet exactly above the axis between the big toe and the heel and therefore diminishing all unnatural forces that bend and torsion the ankles, knees and hips. This actually leads to diminishing the pain and damage in all these relatively fragile points of the body. 2. Without shoes, the gait tends to be more natural, while running its easier to lend more naturally on the middle part of the feet instead on the heel and thus diminishing the forces and damage suffered by the knees and other parts of the body. 3. Without shoes, we can easily see that big part of the walking actually is how the big toe grips the ground and this makes us much more stable and in general trains and develops the muscles in the feet and therefore decreases the risk and severity of the injuries suffered. 4. Happen that the surface of which we walk stimulates the skin and nerves on the feet and make us feel pleasure, which by itself normally is sign we do something that is good for us. 6. Last, but not least, barefeet walking allow our skin to get in contact with the dirt and with this we allow certain number of environmental bacteria and allergens to enter in contact with our immune system and to "train it" and therefore make us healthier. There are also some minimal risks, mostly of injuries like cuts, but my experience says that this risk is so insignificant and so much out-weighted by the benefits, that is not even worth thinking about it. Other then that, there are problems walking barefeet if the whether is bad and some other issues, about which I'll write in separate post and I'll try to find some solutions.